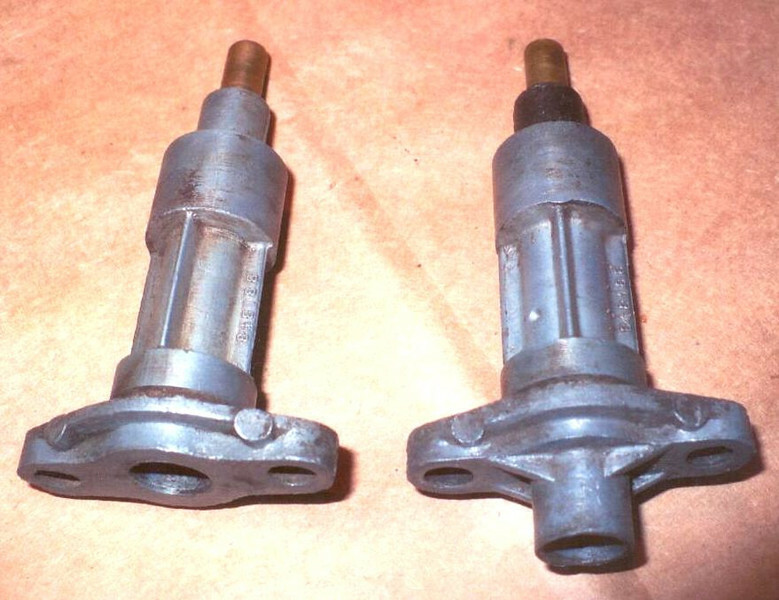 Speedo Driven Gear Housing: R. Kearns noticed 2 different versions with the non-shouldered one (left) the most common. Shoulder would have given speedo cable more support. Casting number is the same.